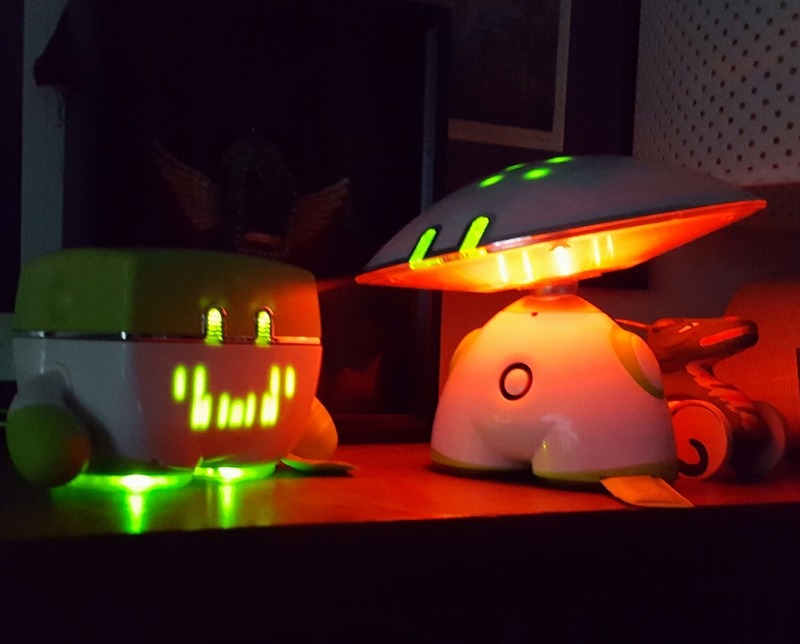 Guess who came back to life after the power outage - these cute little robots! so other one does too. with their lights and their arms.